All praises to Our ABBA YAHUAH, the MAKER of the Heavens and the Earth. For sending us HIS only begotten SON who knew no sin to become sin for us and dying a sacrificial death for us. Let us listen together as the WISDOM of YAH speaks. Beloved, today if you hear the voice of Our ABBA YAH calling you, to come to HIS MASHCIACH YAHUSHA, It is my sincere Prayer you say "Yes". Just like we see in the account of the 1st century believers so are we to be today...in the MASHCIACH...continuing stedfast in the Apostles Doctrine, Fellowship, Breaking of Bread and Prayers. "And they shall put eth MY name upon the children of Yashara'el, and I will Bless them." 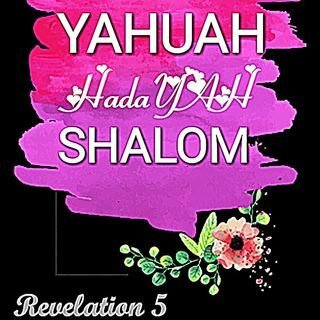 Numbers 6:25 HalleluYAH!